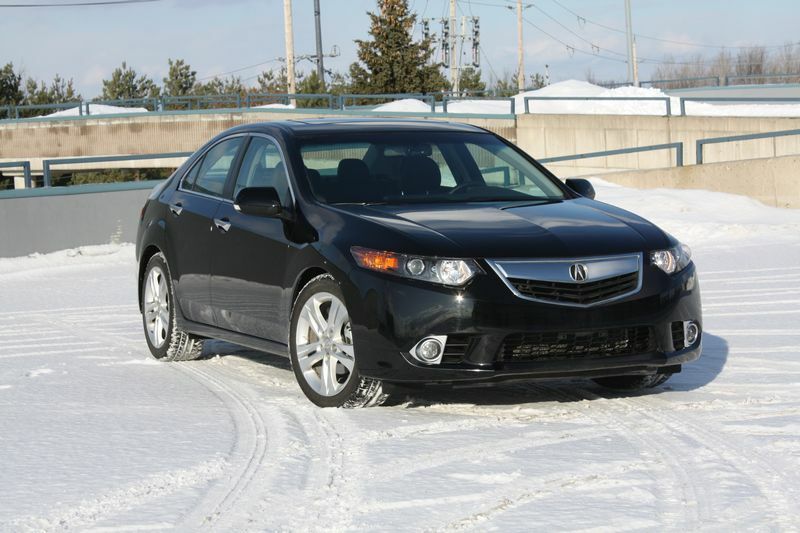 The words “sporty” and “hybrid” don’t spend much time together. Generally speaking, if a hybrid is sporty, the entertaining side of its personality comes at the expense of the fuel-saving potential that the hybrid moniker supposes. But now, here’s Lexus, with the 2011 CT 200h, a compact hybrid hatchback that its maker says is designed for “moments of fun.” As a hybrid, it’s got the specs: the combination of 1.8-litre gasoline engine and electric motor comes more or less untouched from the Prius, by Lexus’ parent company, Toyota. In pursuit of the sporty half of the equation, Lexus fine-tuned the drivetrain, making modifications designed to coax more performance out of the gas-electric power pair. The CT 200h’s 134 horsepower and torque (105 lb-ft from the gas engine, and 153 from the electric motor, although the net total is something between those two numbers) match those in the Prius. 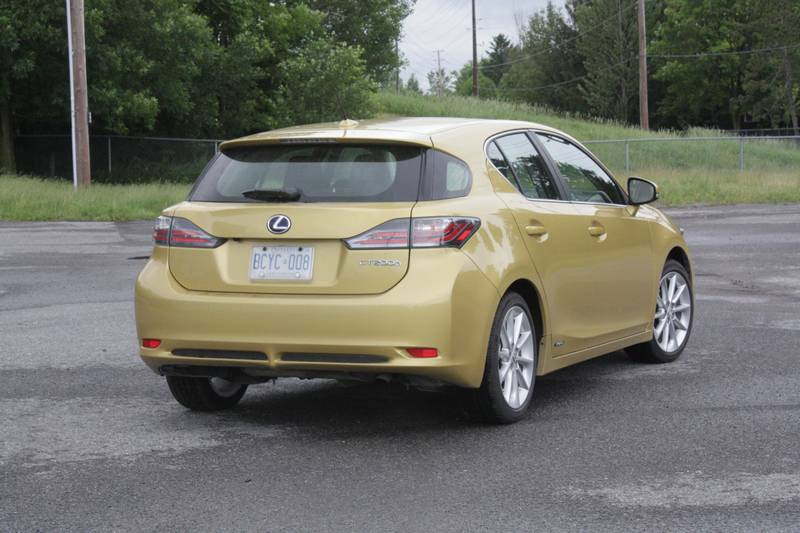 The CT 200h’s fuel consumption numbers are not the same, though; owing to different throttle and engine control programming, the Lexus’ Natural Resources Canada (NRCan) ratings are 4.5/4.8 L/100 km in the city and highway test cycles, respectively, compared to the Toyota’s 3.7 and 4.0 L/100 km. My Lexus test car averaged an impressive 4.9 L/100 km in city driving, which is actually better than the 5.2 L/100 km my 2010 Prius tester managed. On paper, those fuel ratings and Lexus’ marketing claims suggest that this Lexus is the very definition of guilt-free wheeled entertainment. Guilt-free, yes, but entertaining… well, that depends on what you expect. The CT 200h is more agile in corners than the Prius, balancing sharp handling with a comfortable ride. Short of paying stacks of cash for a Porsche Panamera or Cayenne Hybrid, BMW’s hybrid X6 SUV or even Lexus’ own hybrid GS luxury sedan, you won’t find another hybrid this affordable that also allows for this much fun on bendy roads. 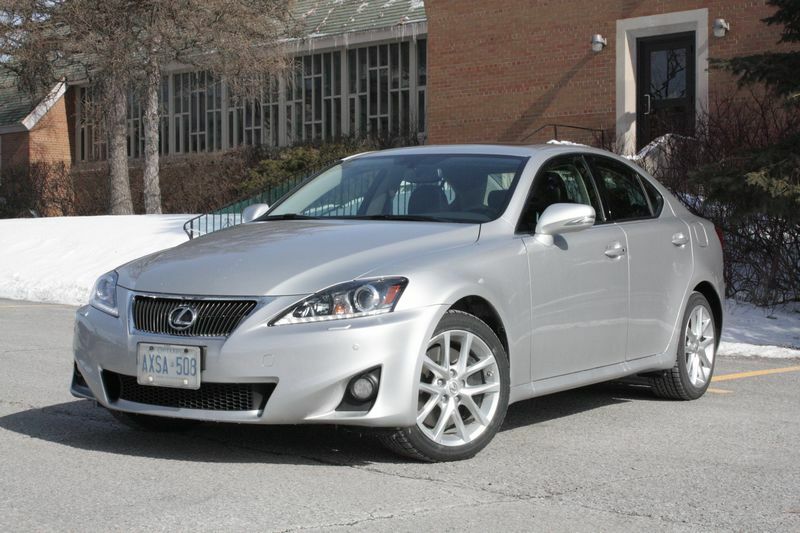 What you don’t get for that low, low price (the CT starts at $30,950) is spirited straight-line performance. If this car is faster than a Prius, you won’t be able to measure the difference by the seat of your pants, and in fact, I couldn’t detect much of any difference in the car’s behaviour compared to the last Prius I drove (though that was a couple of years ago at this point). Stand on the gas pedal, and the car’s continuously variable transmission (CVT) lets the engine run up close to its red line, and keeps it there as the car gains speed. As with any CVT-equipped car, the effect is a little strange compared to the up-and-down soundtrack of a traditional transmission moving through its set gear ratios. Again, though, as with other CVTs, this one keeps engine speeds low in normal driving; that, combined with the electric motor pitching in, makes for a quiet drive, as long as you’re not in a hurry. In the gauge cluster, a multi-mode trip computer will display the distance travelled and fuel consumption in L/100 km, or it can be set to show you a hybrid system status screen that shows whether the car is moving on gas or electric power or, most commonly, a combination of both. An “EV mode” (EV meaning electric vehicle) button on the dash forces the car to run on electricity alone, so long as the conditions are right: it works up to speeds of 40 km/h, under moderate acceleration and only when the car’s electronics say the battery has enough charge to pull it off. It’ll work three times out of four you try it. Lexus actually says not to use it too much, as it could cause fuel consumption to increase through repeatedly draining the battery and then requiring the gas engine to run to recharge it. It’s meant, suggests Lexus, as a convenient way to provide a quiet running mode for driving through residential areas late at night – not that most cars are loud enough to wake up the neighbours, unless you’re doing donuts in their driveway. There are three different other drive modes beyond EV mode, one of which is a sport setting that brings quicker throttle response – as in, you get more power for less movement of the gas pedal – but doesn’t actually add any power. The other two choices are “eco,” which aims to save fuel by reducing gas pedal sensitivity, encouraging more leisurely driving, and a “normal” setting that strikes a middle ground and ultimately makes for the best driveability. Interior finishings look and feel like quality, with the exception of the speaker covers in the dash top, which didn’t fit flush with the rest of the dash panel. But that’s a relatively minor thing in an otherwise nicely put-together car. The CT does away with the Prius’ high-tech interior look, presenting analog gauges for speed, fuel and a third gauge that can be toggled between a hybrid system power display or a more traditional tachometer, which is switched to automagically when sport mode is selected. 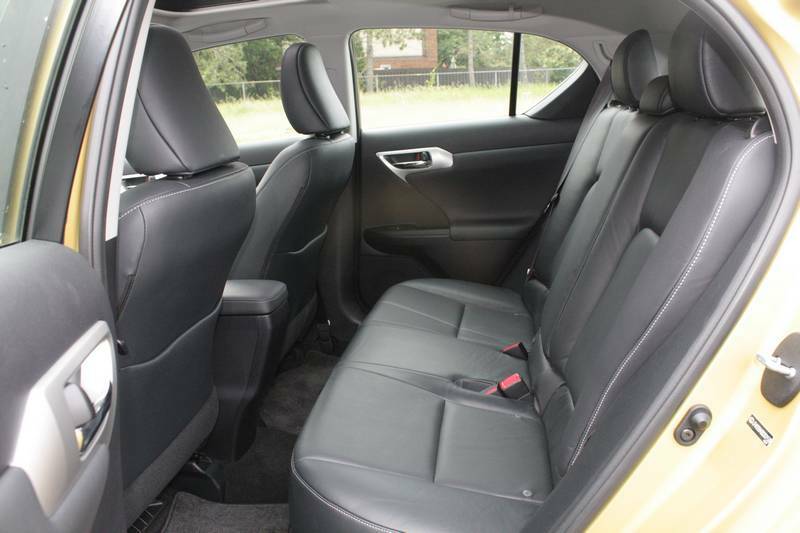 This is a small car, and the proof is found inside, where headroom is tight, and rear seat legroom is about equivalent to a compact hatchback, like the Mazda3 or Kia Forte5. Where the most space is lost, though, is in the trunk, where the high floor, dictated by the placement of the hybrid system’s battery pack, takes a significant cut out of cargo space. 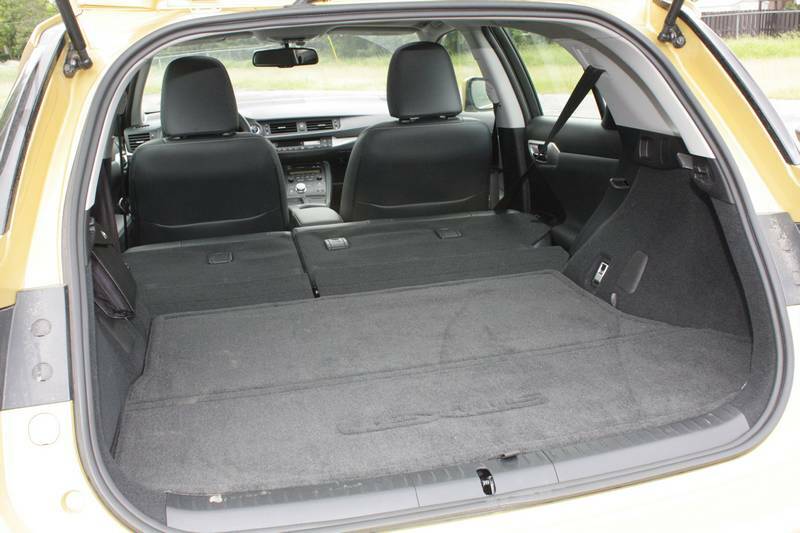 Naturally the rear seats fold (so do those in the Prius, but hybrid sedans, like the Ford Fusion, Toyota Camry and Nissan Altima lack a folding rear seat), usefully expanding trunk space. 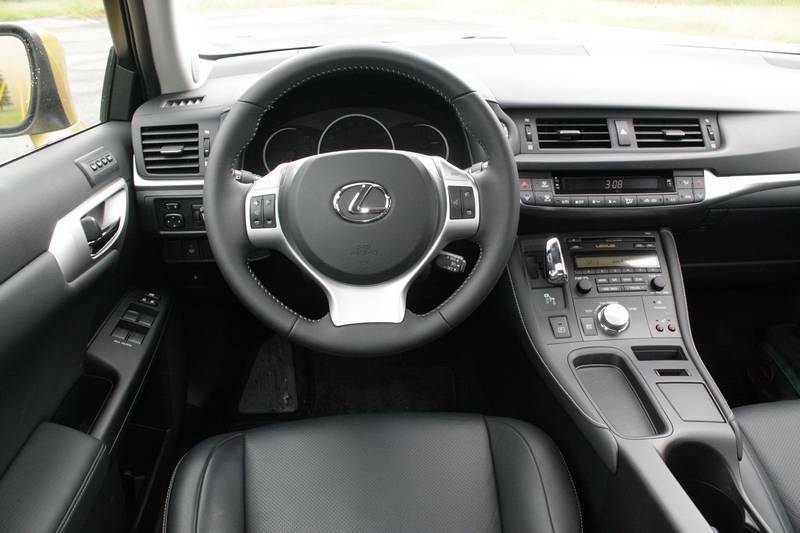 To my test car, Lexus added the $4,900 Premium Package, which includes 17-inch alloy wheels (replacing 16-inchers on the base model), six-CD changer, 10-speaker stereo, driver’s seat memory, leather seats, power sunroof, auto-dimming side and rear view mirrors and backup camera. With that, the as-tested price came to $35,900 before taxes and fees. It wasn’t long ago that the less-interesting Prius sold for something similar to the CT 200h’s $31,000 base MSRP, proof that hybrid technology is moving closer to the core of the new car market. 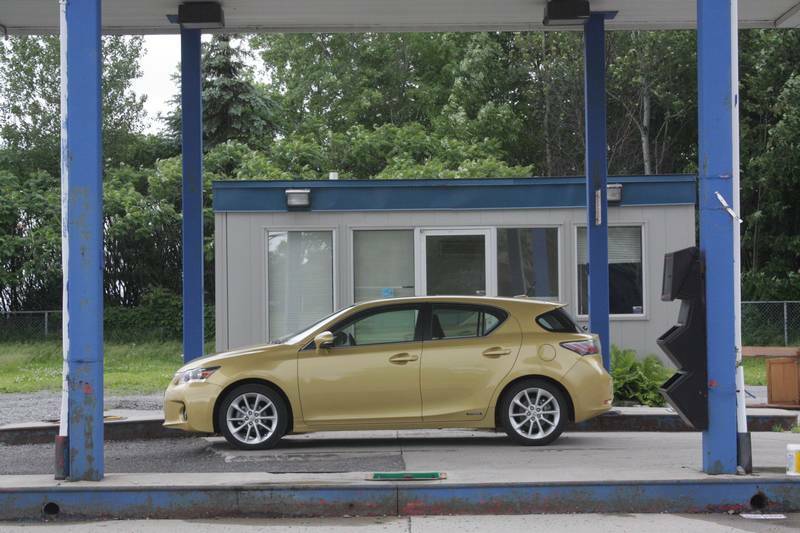 Still, it’d take years to make back the price difference between this Lexus and a similarly-equipped Mazda3 Sport hatch – the top-line version costs $28,765 with navigation and steerable headlights, which my Lexus tester didn’t have – and the Mazda is a more engaging car to drive. 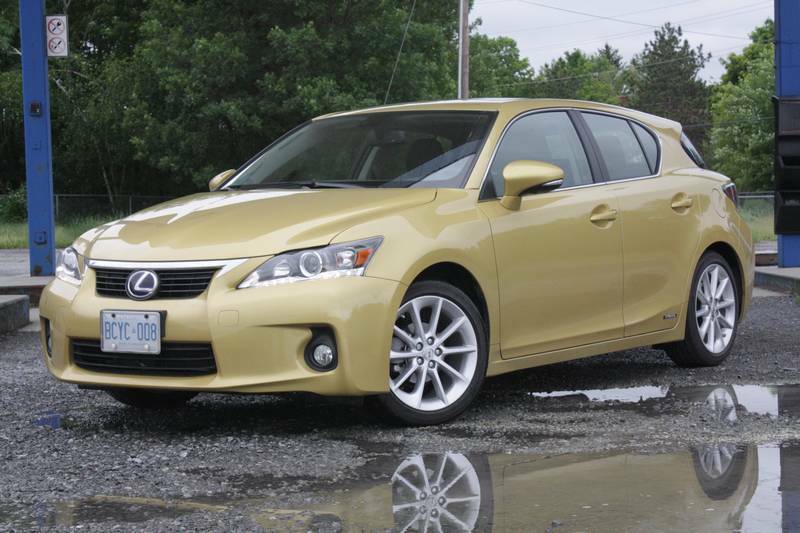 But if your goal is to save fuel and have “moments of fun” doing it, then the CT 200h fits the bill. For more information, see Lexus.ca.